My 11-year-old student sighs. How can the same letters make so many different sounds? We are looking at the letter combination “ough”, which can be read in seven different ways: “through”, “thorough”, “although”, “plough”, “thought”, “cough” and “rough”. Certain movements around the English-speaking world think our spelling system is just too difficult. 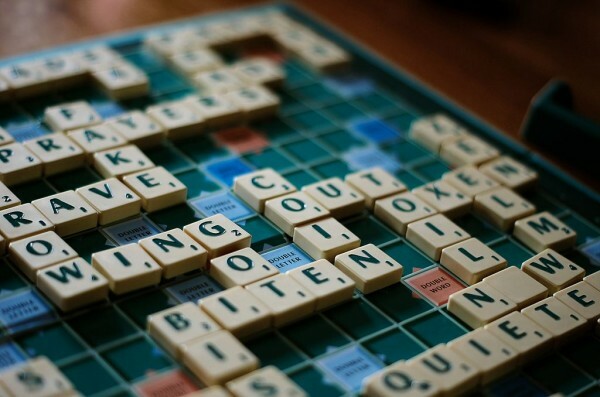 In the UK, the English Spelling Society has renewed calls for spelling reform. They want to change words with extraneous letters and make it easier to spell. The society proposes spellings like “wensday”, “crum”, “cof”, “distres” and “milenium”. For some, including me, these suggestions produce a visceral reaction; others may see this as progress. This isn’t the first time groups have sought to artificially alter the spelling of English, and it won’t be the last. But these attempts are counter-productive to improving the literacy skills of struggling students. As a speech-language pathologist, I help many young people who are yet to grasp expected literacy skills for their age. They are usually amazed that English spelling is this complicated. English does have a complex spelling system (or orthography). In Australia, we have 44 unique sounds that make up words, but only 26 letters to represent them. To solve this imbalance, English spellers use “graphemes”, which include both single letters and letter combinations to represent these sounds. This helps us spell sounds like the “ch” in “choose”, “ng” in “king”, “ee” in “street” and the “ire” in “fire”. This system is not perfect, however. Graphemes can be pronounced differently in multiple words, as in the “ough” example. One speech sound can also be spelt with multiple graphemes, like the vowel sound in “horse”, “haunt”, “court”, “caught” and “store”. English also has many irregularly spelt words that have to be learnt by sight, like “debt”, “know” and “yacht”. Old-fashioned spelling rules further complicate things, rather than solve these problems. “I before e except after c” works for only a handful of words. It has so many exceptions (like the words “science”, “sufficient”, “seize”, “weird” or “vein”) it is a rule we could do without. You can see why some students find it difficult! English’s spelling complexity does make it harder. The rate of dyslexia in countries like Italy is half of what it is in the US. Research suggests that this is because “decoding” English is much harder than in a language with a more consistent spelling system like Italian. It is understandable why some people see that English’s spelling system is to blame for literacy difficulties. It is less clear how they think creating a whole new system will solve the problem. In the early 20th century, the US Simplified Spelling Board built upon the work of Noel Webster (of the Webster dictionaries) to bring about the now American spellings of words such as “jail”, “honor”, “center”, “analog” and “jewelry”. The equivalent in the UK, the English Spelling Society, admits it has not achieved much since its founding in 1908, with the last spelling reform bill of 1953 failing to take off. Nevertheless, it is planning an international conference for spelling reformers this year, where they hope to get the ball rolling again. Language is alive, in that it constantly evolves as humans use it to communicate. Hence it is highly social. Functionality and popularity are what determine acceptable spellings and additions to English. Even in the last few years, English has changed dramatically. Today, we share something we just googled, by tweeting it to our friends, while our iPod is syncing. The teenagers of today are experiencing FOMO, so they totes save time by txting “lol thnx” and spend more time Facebook-stalking their besties. New words and spellings creep into our language, and dictionaries just have to keep up. Change comes from how we use language, not how a group of concerned elders think we should be using it. Language has the dispositions of a teenager; it always follows the crowd. So attempts to cosmetically alter our language through the spelling system are not only misguided, but also futile. What about people who struggle? Although more difficult for some, proficiency in English spelling is attainable. If you can read this sentence you have to agree. The challenge of supporting struggling students is not solved through spelling reform, but through educational reform. Currently, many students, especially in Australia, do not benefit from evidence-based literacy teaching. Low literacy skills then place young people at significantly higher risk of unemployment, social exclusion, poor health and trouble with the law. To improve literacy attainment, we should put our energy into ensuring that all students receive synthetic phonics (sound-based) instruction, which teaches the sound-letter patterns of English systematically. Trying to artificially change the spelling system to make it “easier” is simply a waste of time. So when my students grumble about the problems with English spelling I remind them: spelling doesn’t come naturally; it requires hard work to learn. With appropriate support, the vast majority can learn English spelling – and as we use it, we all play a part in its (gradual) evolution.